As part of your horse’s treatment plan for orthopaedic issues we may recommend biological (regenerative) therapy. This may be in combination with a surgical procedure, or biological therapy alone. Injection of platelets into arthritic joints and injured tendons has been shown in several clinical studies to enhance the regenerative process. This effect is attributed to unique growth factors stored within the platelets which have been found to aid cartilage regulation and synthesis. There are also a number of other biological components contained within platelets which aid tendon and ligament recovery from injury. 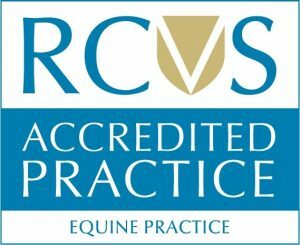 PRP therapy involves collection of a sterile sample of blood from your horse’s vein, this blood will then be specially processed at the practice to produce the highly concentrated platelet solution that is then injected into your horse’s affected area. We often recommend PRP as part of a treatment plan for ligament and tendon injuries, in particular suspensory ligament desmitis. IRAP is a potent anti-inflammatory protein that counteracts the effects of a specific inflammatory molecule (Interleukin-1) within a diseased joint. IRAP therapy involves collection of a sterile sample of blood from your horse’s vein, this blood will then be incubated and specially processed at the practice to produce the highly concentrated IRAP solution. Once produced, the IRAP solution can then be administered into the affected joint in a series of repeated injections over a period of time (usually 10 day intervals). As IRAP is a therapy derived entirely from the horse’s body, it leaves no drug residue and as such there is no withdrawal time for competition. IRAP is often recommended as part of an ongoing treatment plan following arthroscopic surgery where the surgeon has identified cartilage defects. We may also recommend IRAP in joints which are not responsive to other traditional anti-inflammatory medications. Stem cell therapy involves the injection of concentrated stem cells into an injured tendon or ligament. Stem cells are a special type of cell which have the ability to transform into many different cell types and therefore have the potential to support regeneration, growth and healing. These stem cells also release special growth factors and other substances which promote repair and stimulate existing stem cells to develop. We often recommend stem cell therapy as part of a treatment regime for tendon injury. Shockwave therapy involves the use of a specialised machine to create tiny micro-pulses or ‘shockwaves’. The shockwaves are created and emitted at a high concentration and through the use of a special probe can be directed into the site of injury. As the shockwaves reach the site of injury, tiny changes are induced including the stimulation of increased blood flow to the affected area and induction of pain relief. ESWT is often used as part of a treatment protocol for Suspensory Ligament desmitis. Dr Stephen Brooks has extensive experience in the field of rehabilitation. He can offer massage and acupuncture services on your premises, another example of how GVG Brooks Equine take a holistic, whole-horse approach to solving problems and getting your equine back to peak athletic performance as efficiently as possible. This may be recommended as part of a lameness/poor-performance treatment plan or may be something you feel your horse would benefit from as part of their regular management. We have contacts with many local equine hydrotherapy centres. There are numerous benefits to exercising your horse on a water treadmill, whether it be as part of a recovery and rehabilitation program or a fitness regime. Get in touch if you would like to discuss hydrotherapy for your horse.